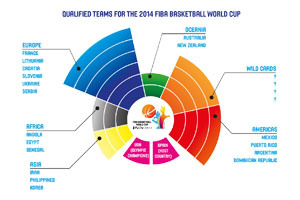 The 2014 FIBA Basketball World Cup will be a major sporting event in the calendar but it will be a special one for basketball fans. It will be the 17th event of this nature and it will be the final time that the event is held on its current four year cycle. This means that it will be the last FIBA World Cup to be held until 2019, a move that has been taken to place the cycle into a different schedule than the FIFA World Cup. The 2014 event will be hosted by Spain. The event runs from the 30th of August 2014 with the final being held in Madrid on the 14th of September 2014. 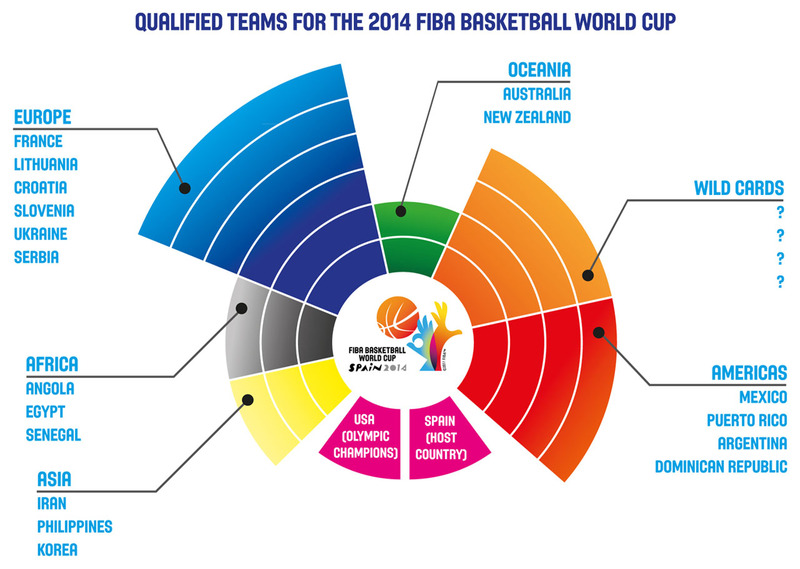 For some nations, the right to play at the 2014 FIBA Basketball World Cup is a lengthy process. The qualifying campaign began in 2011 with the Caribbean Championships from this year playing a role in placing teams to the eventual qualifiers from the 2013 Americas route. The split for teams to make up the 24 team tournament is as follows. The host nation qualified automatically. The gold medal team from the previous Olympic Games qualifies automatically. The top 6 ranked FIBA European teams, as designated by 2013 EuroBasket event. The top 3 ranked FIBA Africa teams, as designated by the 2013 AfroBasket event. As of October 2013, 20 of the 24 positions have been filled with the remaining 4 positions, the wildcard teams, being decided in 2014. Once the final four wildcard teams are known, the draw for the tournament will take place on the 3rd of February 2014 in Barcelona. The preliminary round will see 6 teams be placed into a group and there will be four groups, with four teams progressing from each group. The path to the final is split into the top half of the draw and the bottom half of the draw. 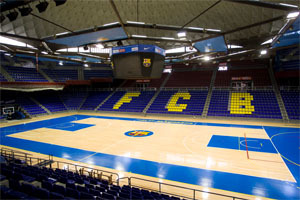 The top half games will be played in Madrid while the bottom half games will be played at the Palau Blaugrana stadium in Barcelona. The knockout round begins with the last 16 stage. The winners of A1/B4 and B2/A3 matches play each other in the quarter finals before the winner, while the winners of the B1/A4 and A2/B3 matches play each other. The winners of these matchups play in the semi-final where the winner progresses to play the winner of the bottom half of the draw. There is a 3rd and 4th play-off between the two losing semi-finalists. The winners of C1/D4 and D2/C3 matches play each other in the quarter finals before the winner, while the winners of the D1/C4 and C2/D3 matches play each other. The winners of these matchups play in the semi-final where the winner progresses to play the winner of the top half of the draw. The United States are the current holders of the FIBA Basketball World Cup and have 4 triumphs in total. This is one behind the grand total of 5, which is claimed by the nation Serbia, with its history of Yugoslavia and Serbia and Montenegro being included together. This includes wins in 1970, 1978 and 1990 as Yugoslavia and wins in 1998 and 2002 as the FR Yugoslavia / Serbia and Montenegro national basketball team. In 2014, the nation will be competing for their 6th title under the title of Serbia.